I visited Romania in June 2016 with my fiancée and a couple of friends, hiring a car and exploring the country. 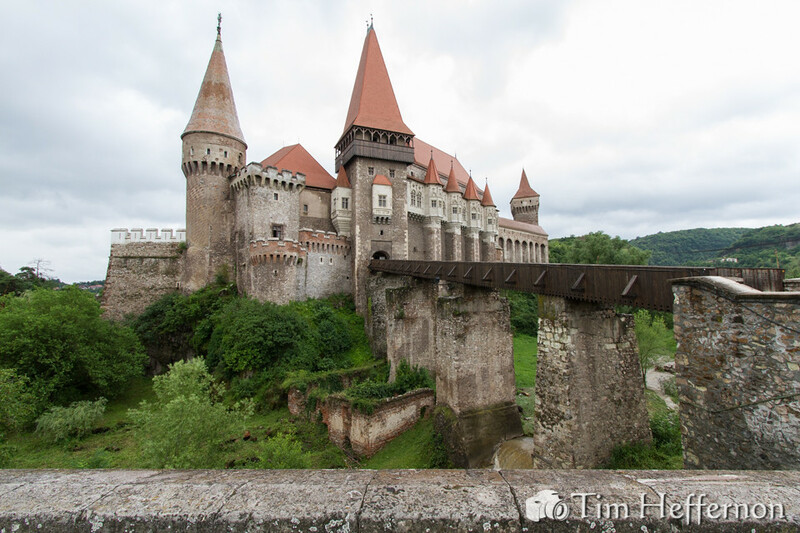 Corvin Castle is located in Hunedoara, in the Transylvania region of Romania. The Gothic-style castle is built on rock above the Zlaști River. Construction was started by Iancu of Hunedoara in the 15th century on the site of a former keep. The two-storey Large Palace was added in the 17th century to provide extra living space, along with the White Tower and the Artillery Tower for military purposes. It is rumoured that Vlad III of Wallachia, also known as Vlad the Impaler, was imprisoned in the dungeon for some time during the 15th century, although this has never been proven.